The main advantages of small boring machine _ industry knowledge _ Xinxiang Blueprint Machinery Co., Ltd.
Small boring machine is also known as portable boring machine, this machine has a lot of good performance, once the promotion of the users are widely disseminated and accepted. 1, its small size, light weight, it is very convenient to carry, can be used anytime and anywhere processing, logistics and transportation is very convenient. 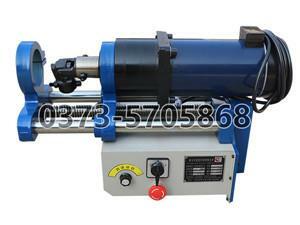 2, small boring machine price positioning reasonable, there are a large number of stable buyers. 3, the quality is very reliable, the service life is longer. Small boring machine is based on the original products of our factory based on customer feedback and demand developed by the public acceptance and application is a generation of new products, its power output motor using different gears, high-grade and low gear transmission high-performance transformation, became more prominent native automatic knife set. The production process of small boring machine has passed the research and test of non-frequency, and it changes a series of difficult problems such as the failure of the knife in the original equipment and the damage of gears.